Holden is an amazing 18 year old boy receiving radiation treatment at the Proton Center in Winfield, IL. Holden is being treated for Oligodendroglioma, a type of brain tumor. Despite the ordeal this tumor and the treatments have put him through; Holden is kind and has a serious love for music ever since he started playing when he was in the fifth grade. The Alyssa Alvin Foundation for Hope first met Holden during a Music Night at the Ronald McDonald house in Winfield, IL. When he got to high school the band classmates he came to know well, have encouraged and helped support him ever since being diagnosed. We met Holden and his mom, Cindy, at the Ronald McDonald House in Winfield, IL on March 4th, 2016. Alyssa Alvin Foundation for Hope Board members; Tyler Willer, Dan Modjeski and Yoli Alvin went to present Holden with a brand new shiny green saxophone he had requested. Holden has been playing the saxophone for years now. 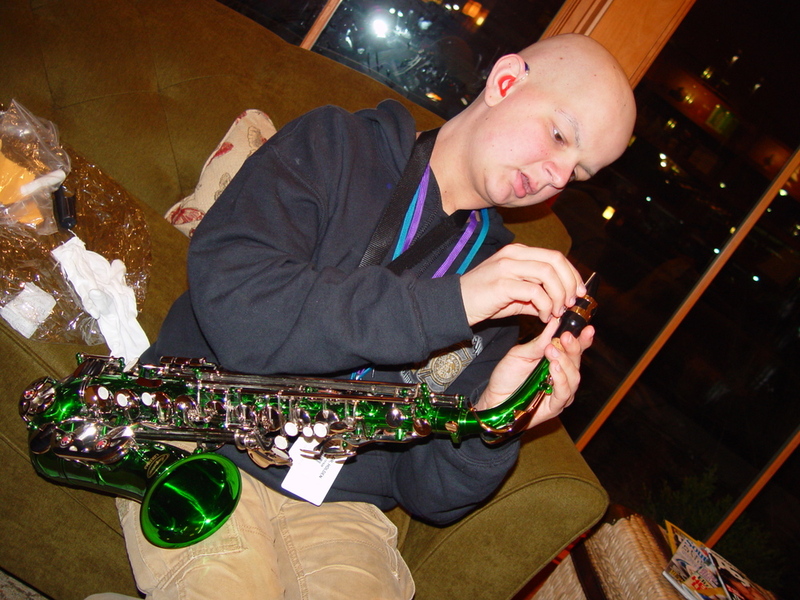 The shiny green saxophone looked majestic and Holden could not wait to get his hands on it. We helped take the instrument out of the case, construct it, and gave the professional white playing gloves to Holden. Luckily Holden knew just what to do to set the instrument up properly. He started by taking the reed out and breaking it in, he knew that the reed would need to be softened up to make it easier to play. 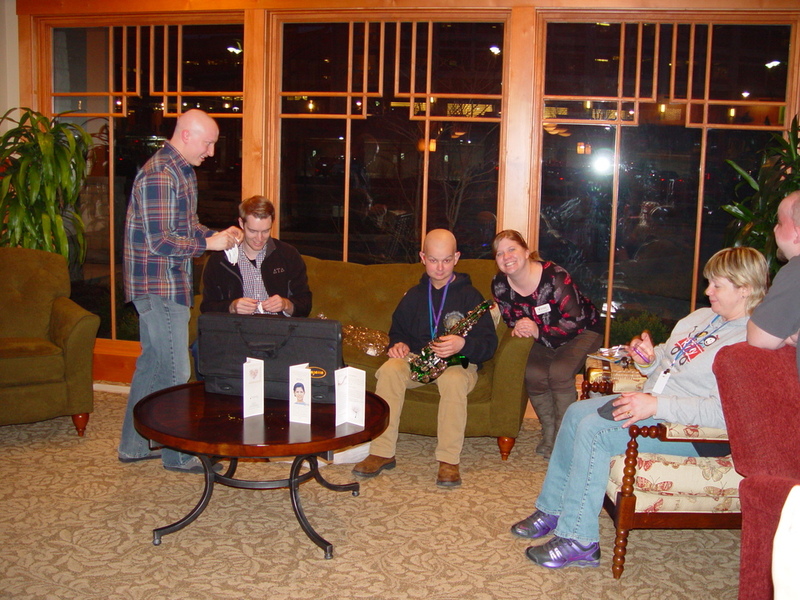 Once the saxophone was set and the reed was broken in, Holden played a scale of notes to the 8 of us around. Holden continues treatment through the next few months. Holden will be going home to Indiana where he will be reunited with his fellow band members, ultimately being able to use the new sax marching alongside his classmates. We offer our prayers and remain hopeful that Holden’s treatments will come to a close this spring. We hope to hear Holden play a song with the new green saxophone in the near future.